Kathy Coatney captures Franklin Logging working at W.M. Beaty and Associates’ salvage site after the Day Fire. (a) California leads the nation in bioenergy production, with one-half of the industry located in this state, which has an abundant supply of bioenergy resources. Not a day goes by that we don’t hear something about the drought in California. There’s now even a downside to growing almonds, a staple in the Golden State’s agricultural lineup, because it takes several gallons of water to grow one almond. Then there’s the ever-present issue of dirty air. Do these topics have anything in common? And do they have any influence on woody biomass? Yes, they do. It seems that the drought is causing some California farmers to do away with their orchards, all in the name of water savings and economics. While farmers have long pruned their orchards and sometimes cut down old trees to add new ones, they are now actually tossing in the towel, cutting down productive trees and burning them right out there in the open air. In the past, such wood wastes were shuttled off to plants like the Rio Bravo Fresno woody biomass power plant, which came online in June of 1988. According to the company website, Rio Bravo has been rated at 25 MW net and runs continuously at full load. The fuel source is agricultural prunings and other wood waste, with such biomass offsetting the equivalent of 457,000 barrels of oil annually and providing clean efficient energy in the bargain. Such plants as Rio Bravo have been a steady option for growers for years, as they took trees out of production or pruned them. Growers traditionally don’t like to burn, given clean air laws, but such practices are steadily increasing because grinding up the wood is costly. The shutdown of woody biomass plants in California gives growers even less incentive to contribute to the state’s renewable energy portfolio. Yet ironically woody biomass energy is expanding elsewhere in the nation. It’s a strange paradox. As Rio Bravo’s purchase contract with Pacific Gas and Electric expires soon with no contract renewal expected, California Assembly Member Brian Dahle has introduced legislation to help such woody biomass facilities stay in the game. The Republican from Redding balks at the thought of losing valuable woody biomass energy production facilities. Dahle’s bill has advanced in the legislature, enjoying bipartisan support. The idea is to have some kind of cost share account, according to backers of Assembly Bill 590. As for why the bill is viewed as a necessity, supporters point out that prices from utilities for biomass electricity are not high enough now to make ends meet. Apparently successful hydraulic fracking and discovery of new natural gas reserves have chipped away at any woody biomass advantages. Advocates such as Julee Malinowski Ball of the California Biomass Energy Alliance say the industry needs lawmakers to pass funding this summer that would provide millions of dollars from the state’s Greenhouse Gas Reduction Funds to keep biomass plants afloat. 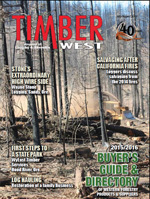 Meanwhile, growers facing financial hardships must reconsider chipping their wood waste, hoping to sell to the dwindling number of biomass energy producers. The other option is to torch it. Biomass production has been the preferred option for years because the energy producers help farmers reduce costs by offering cash for wood waste. As three of the ten existing biomass plants from Stockton to Bakersfield have closed in the last year or so, woody biomass options are fading fast in an already economically impacted section of the Golden State. Yet backers of Dahle’s bill hang onto optimism. The exact amount of funding that would transfer per fiscal year if the bill passes is still undetermined. Currently, the bill reads as allocating $74 million into the Biomass State Cost Share Account in the 2015-16 fiscal year, $118 million for 2016-17, and $120 million in each of the following fiscal years, up to fiscal year 2019-20.